Winchester Archery manufactures compound bows and crossbows that bring with them the confidence of more than 100 years of producing some of the world’s finest outdoor hunting and shooting products. Designed and made in the United States, Winchester Archery products represent the finest tools available and are covered by a lifetime warranty. 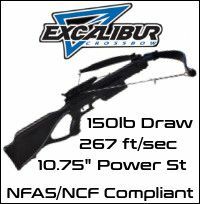 Winchester Bronco Crossbow Full Package - FREE TARGET & FREE UK SHIPPING! 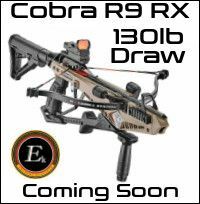 Winchester Blaze Crossbow Full Package - FREE TARGET & FREE UK SHIPPING!